How do you use social media as a marketing tool? LoveToKnow spoke with expert Heidi Miller to learn about best practices in using social media as a marketing tool. Heidi Miller is Chief Conversation Officer for Spoken Communications and is on the board of Social Media Breakfast Seattle. 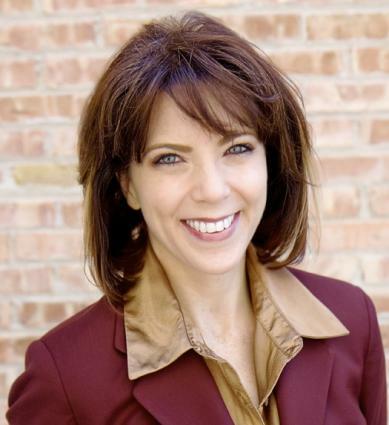 She has been a featured speaker at Podcast and New Media Expo, the Graduate School of Business, University of Washington, CCA, Chicago DMA, and Rocky Mountain DMA as well as at national client conferences. How did you become a Chief Conversation Officer? What exactly do you do? When I was approached for a marketing and social media position at Spoken Communications I took some time to get to know the industry and strategize what might be best in a B to B context. Spoken Communications is a technology company providing virtual call center solutions; in the last year, we've also expanded to providing voice to text and voice search solutions as well. As the company expands and grows, so does the messaging, and it's my job to make sure that those conversations are open, accessible and engaging. The position of Chief Conversation Officer involves not only traditional marketing like website maintenance but also engagement in social media: our company blog, Twitter, LinkedIn and YouTube spaces. In short, my job is to make sure that anyone who cares about customer service can easily communicate with someone from Spoken, no matter where they find out about us. One of my beliefs is that conversations happen where they happen - on Twitter, on the LinkedIn, or on an airplane. My job as Chief Conversation Officer is to make sure that we are present and engaged in those conversations. How has social media changed the way people and businesses use the web? I'll say something provocative here: social media doesn't really change the way people do business. If a business had customer service as a low priority before social media, adding a Twitter account won't change that. Social media is nothing more than a set of tools that organizations can use to connect with their customers and fans. Social media is nothing without a company mission, a strategy and a desire to listen to and interact with the organization's public.What is changing is that some organizations are using social media to allow their members to connect on a personal level with their users. Even organizations such as FEMA, the army and the CIA have created social media guidelines that will allow those organizations to communicate transparently and establish relationships such as they never could before. The biggest value of social media, for many organizations, isn't a specific ROI but in brand equity: when people feel like they have a personal connection with a company, brand or organization, they are more likely to recommend it to a friend. What is the biggest mistake businesses make regarding social media, and how can it be avoided? The biggest mistake most businesses make regarding social media is to see "social media" as a strategy wielded by one person, tacked on to the company's existing marketing. Social media isn't a strategy; it's a toolbox used to support a carefully-crafted strategy to meet specific goals. It should be pervasive within the company, not added on as an afterthought. Too often, one person within a business will start a blog or a Facebook page, and what happens when that person leaves? The blog and Facebook presence stagnate, and any value derived from them evaporates. If a business decides to participate using social media, the first questions to ask should be: Why? What is the goal? Who will contribute, and how often? How will you measure success? If a business wants to begin using social media as a marketing tool, how do they start? I have a few apps to recommend, but the first step is to begin to ask what they hope to get out of the time and energy invested in participating in social media. Do they want to drive traffic to the site? Will they measure success in conversions? Once the strategy is in place, you can work on how to implement it and measure success. Fortunately, there are a plethora of free and paid tools available for quantifying level of engagement measured in things like reTweets, blog comments, "Likes" on Facebook, social bookmarking, followers and more. In terms of paid applications, Radian6 has some fantastic options. For free monitoring, my three favorite tools are Google Analytics, bit.ly and TwitterAnalyzer. What do you think is the biggest misconception people have about social media? "If you build it, they will come." This might have been true when blogging was new, but it isn't anymore. No one really cares about your Facebook page. No one cares that you are Twittering a 10% off coupon once a week. There is no substitute for compelling content, engaging conversations and listening to your fans. Having a site and collecting followers like bottle caps won't meet social media strategy goals, and businesses who do will end up feeling like they've wasted their time. A social media campaign must be strategized just like any other marketing campaign. The great news is that, unlike with a billboard or a TV ad, social media also provides the means to measure exactly how popular that campaign is, in terms of clickthroughs, impressions, comments and reposts. I'm not sure anyone could have really predicted the success of Twitter, so feel free to dodge this question, but...what's coming next? Having just returned from South by Southwest Interactive, where social media sensations Twitter and Foursquare were both announced in past years, I'm a little disappointed that there was no clear breakout social media widget this year. Most discussion was around the war between Foursquare and Gowalla, both location-based games--they even held competing parties simultaneously. However, that being said, I'll make this prediction: location-based gaming and applications supported by mobile advertising will be the next breakout hit. With the rise in popularity of smartphones and with more functionality being added to feature phones, the mobile phone's inherent GPS will be the next big field of play for developers looking for an addictive hit and advertisers looking for immediate results. Ms. Miller writes on strategy and measurement of social media as a marketing tool on Twitter. You can also find her on LinkedIn.